In a large non-stick pan put Evo oil and scald the scallops, for about 1 minute on both sides; add the Brandy and let evaporate. Then add salt and pepper and set aside. 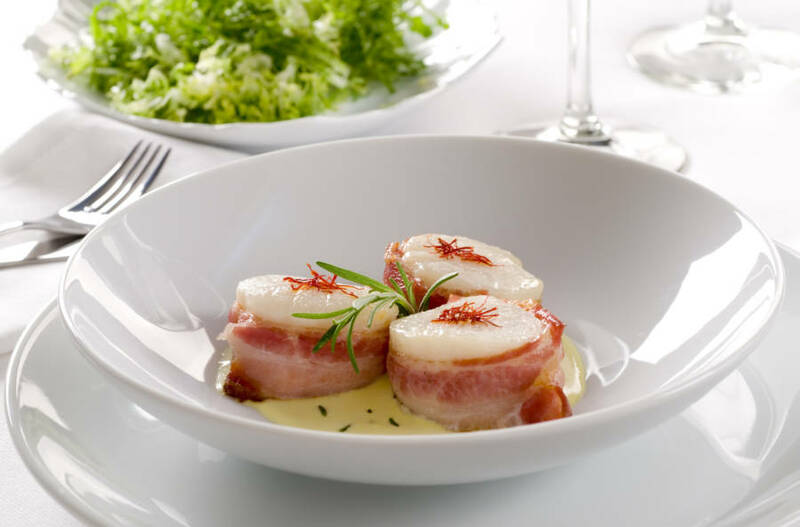 Wrap the scallops in the slice of Pancetta Piacentina PDO with rosemary and toothpick and continue cooking over high heat until the pancetta becomes crisp and fragrant. Garnish with rosemary, saffron and Evo oil. Serve with a green salad if desired.